opinions for the court and one dissenting opinion. rights, as well as applicable rules and regulations. 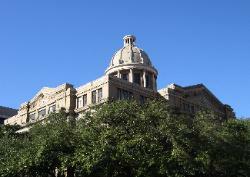 160), Gonzalez lacks sufficient minimum contacts to support an assertion of specific jurisdiction in Texas. judgment sustaining the special appearance. Trial Court Judge: Hon. William R. Burke. Jr.
some condition or some use of tangible property. The judgment of the trial court is affirmed. 01-06-00067-CV Linda Koval v. Henry Kirkland Contractors, Inc.
relevant to the estate. The trial court additionally found and awarded attorney's fees and costs to Kirkland.